The goal of Habitat for Humanity's 'Midtown 100' project is to build 100 homes over a span of three years. Home ownership is a dream for many Americans, especially those with children. But, often with the rising costs of renting, owning a home is extremely difficult. That's where Habitat for Humanity wants to help. Continuing their project, 'Midtown 100,' the goal is to to build 100 homes over three years. Latashia Marlon is the new owner of one of those homes. She spent many Saturdays working on the home, missing out on time with her five children but she knew it was necessary. Before owning, Marlon was renting a two-bedroom apartment. She quickly outgrew that space after adopting three young girls. Church members from all over Wisconsin came out to help build the home. Brian Sonderman, Milwaukee Habitat for Humanities director, said days like this remind him of the great work his organization does every day. 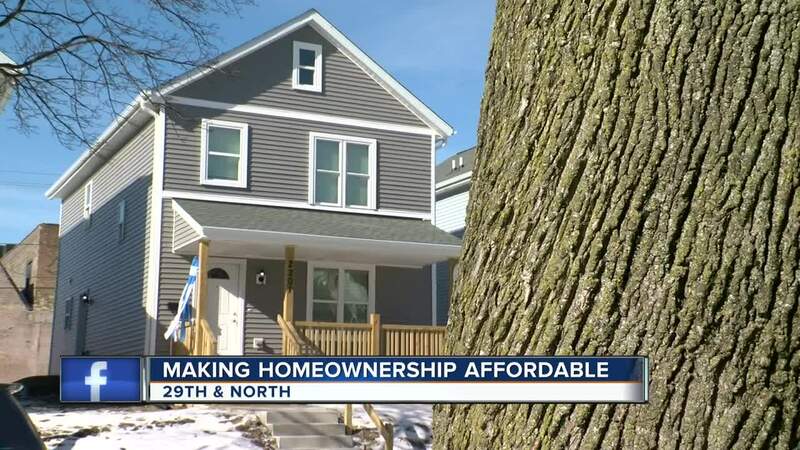 "It's an incredible experience to see people from all over Milwaukee come together to make this happen for someone they didn’t know until they got to the build site," said Sonderman. Marlon is grateful for all that help. "I just want to thank all them for coming out here and God giving me the strength to help build my home," she said. She now has a greater understanding of home mechanics and also taking care of her home. "I’m happy I got into this program to let me learn if something goes down I can know how to fix it and I can take my own time off and do it myself," Marlon said.